Whilst celebrating its 25th year of trading, Marvin’s Magic launched the exciting Mizz Magic range. As the name (and packaging) suggests, the magic tricks are aimed firmly at budding female magicians who fancy a go at the art of creating amazing illusions. With secrecy and suspense always surrounding a magic show, little girls know that practise makes perfect! 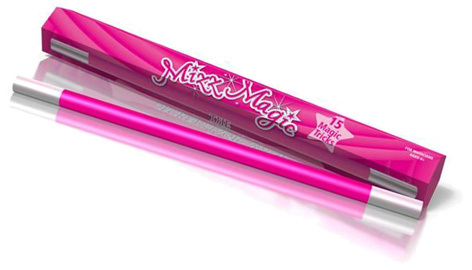 They love the Mizz Magic Secret Magic Wand and The Secret Illusion Box; and who can work out the secrets of The Appearing Magic Wand Pencil? Guaranteed a big hit, Mizz Magic also includes The Mysterious Dancing Lights – female magicians seemingly make pink lights appear and disappear at will! How cool is that. Please tell us what you think of Mizz Magic by Marvin's Magic.